The state of Himachal Pradesh is a heavenly destination for tour enthusiasts who wish for a getaway that can take them away from the hustling city life. The entire state embraces tranquility that can be experienced with every foot forward. The Dhauladhar & Pir Panjal Ranges, regions of Kinnaur, Lahaul & Spiti and routes of Shimla region & Kullu valley are the main trekking trails most of which ranges between 1,500 m to 6,000 m. The entire trail across these can take tourists across some dumbfounding & breathtaking vistas. 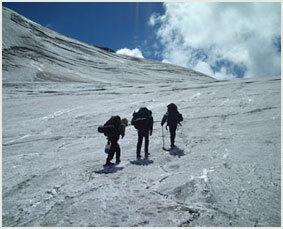 Owing to the terrain variation, Himachal Pradesh offers varied trekking experiences to travelers who love to explore beauty with their mere footsteps. One can find a variegated array of trails all across the state that can offer you a taste of the landmass. From low scrub-land & paths of the paddy fields, dense oak, deodar & rhododendron forests, arcadian hamlets to treks along the swift rivers and those across the mountain ranges, the trails of Himachal Pradesh are nothing less than an absolute delight for every adventure seeker and nature lover. 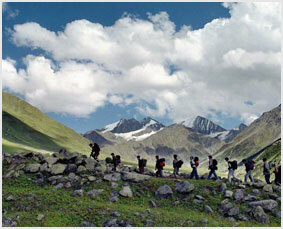 So if you are on the mood to enjoy it to the fullest while trekking in Himachal Pradesh, then make sure to book-out some agencies that conduct treks in different regions of the state, most of which offers guides, porters, pack animals, requisite equipment and maps at the starting point of a trekking trip.